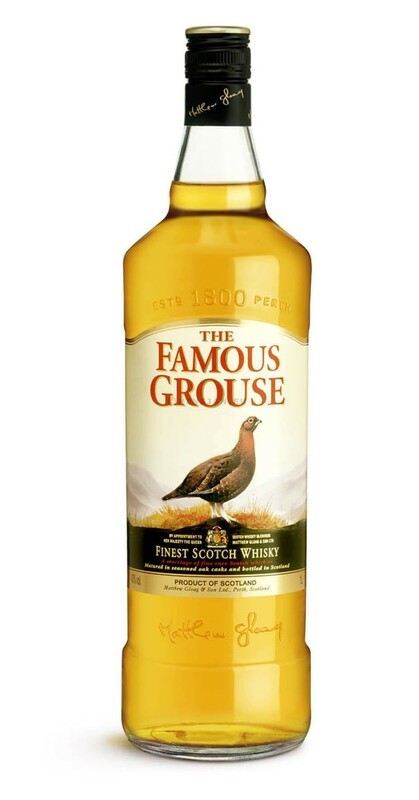 The Famous Grouse whisky is named after the Red Grouse (Lagopus lagopus scoticus), Scotland´s national game bird. The Famous Grouse is testimony to the unsurpassed blending skills of Matthew Gloag and Son, a family business founded in 1800. The secret is in the way we marry the finest malt whiskies, such as The Macallan and Highland Park, with exceptional grain whiskies for an unusually long period in fully seasoned oak casks. The result is a blend of the smoothest possible character. Raised in the Highlands, The Famous Grouse is proud to be Scotland´s favourite whisky.